Gives a 30 day Accumulator style healthy habits plan offering readers daily changes they can make to build towards a long lasting healthy diet. 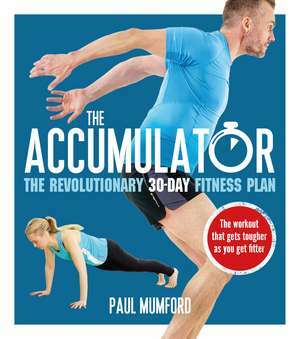 Paul Mumford is a qualified nutrition and exercise coach and creator of the Accumulator programme. He is also a specialist barefoot running and core conditioning coach. Paul also writes regular columns and articles for several fitness magazines including UltraFit, Famously Fit and FitPro.